» Can You Get Wealthy Buying Farmland as an Investment? Between 2009-2014 America’s farmland values grew rapidly, according to the USDA. In 2009, the value of an acre of farmland was $2000, and by 2014, the value of increased upward of $3000 per acre. Although growth in farmland prices tapered off and then decreased in value by 2016, the downward trend didn’t last long. By 2017, farmland values rebounded back upward, according to the USDA. In the end, buying farmland as an investment may be a potentially lucrative move for those looking to hold an overall stable, tangible asset. As the world’s population continues to increase, limited land availability, fresh water constraints and declining growth in crop yields continue to threaten the food supply. In addition, consumption patterns continue to favor meat consumption. However, according to OECD Data, “as compared to other commodities, meat is characterized by high production costs and high output prices.” In fact, Rachel Premack of the Washington Post notes that it takes 48 times the amount of water to produce meat than it does to produce vegetables. The meat and dairy industries require endless resources to raise, kill, prepare and sell animals. Not only is this costly to our environment, it is extremely unproductive. Buying farmland as an investment could put you in the middle of a strong consumer trend as more people explore health through food. Buying farmland as an investment could put you in the middle of a strong consumer trend as more people explore health through food. As more and more people convert to plant-based diets (because of health or environmental concerns), the demand for crops will continue to increase. As more and more people convert to plant-based diets (because of health or environmental concerns), the demand for crops will very likely continue to increase. Veggies aren’t just for dinner anymore. Buying farmland for an investment could extend well beyond just consumable food items. Growing crops that are also used to create biofuels, which remain in high demand, would be a realistic and viable pursuit as well. And don’t forget about the use of farmland for wind farms. In June of 2017, the U.S. Energy Information Administration reported (based on March data) that electricity generation by wind represented 8% of total U.S. electric generation. Considering the fact that in 2007, wind generated electricity only represented less than 1% of all U.S. electric generation, this jump is significant. Both of these factors combined practically ensure a high performing portfolio for those exploring buying farmland as an investment. Alas, the illiquid nature of farmland has prevented the investment community from participating in past and future appreciation of farmland. 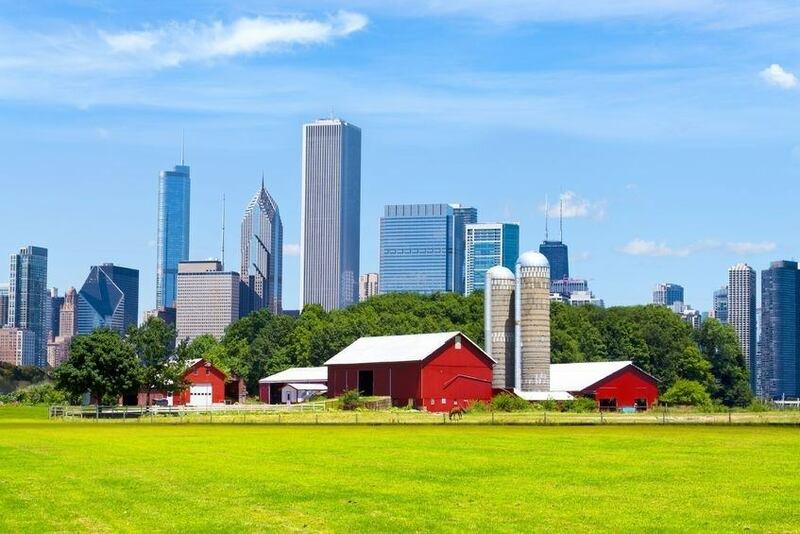 Traditionally most farmland has been passed down from generation to generation by succession, leaving investors “out of the game.” However, in recent years, there have been increased opportunities attracting investors interested in buying farmland as an investment. As the Economist explains, farmers often have no successor who wishes to farm the land, and, in order to keep up with new farming trends, continued investment would require funds that most farmers do not have access to. Investing in farmland combines the allure of a tangible asset with annual returns of 12% which translates to: Buying farmland for an investment, along with maintaining a diverse portfolio, may be a smart bet for future financial success. A passionate environmentalist and animal rights' advocate, Sophie Friedland is dedicated to the idea that furthering these imperatives and being financially successful are not mutually exclusive. A college Freshman at the time of her first submission to Financial Poise, Sophie is Financial Poise's youngest-ever contributor.